October is Breast Cancer Awareness Month. We, at Fountains Dental Excellence, are helping to spread awareness by supporting our local non-profit, Albie Aware. Albie Aware’s mission is to save more lives and empower people with breast cancer through awareness, education and support. 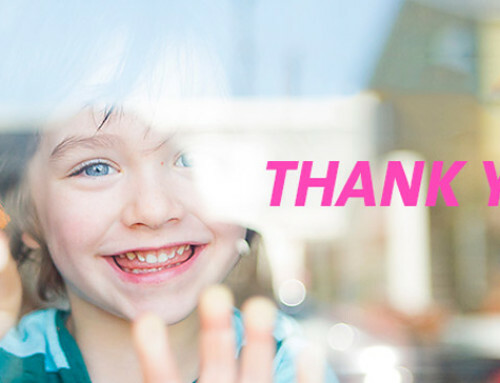 Albie Aware provides assistance for life-saving diagnostic testing, patient advocacy, prevention education and compassionate support to local individuals who are facing or fighting breast cancer. To spread awareness, we are asking everyone to Take the Pledge to Donate to Albie Aware. Your donation will help them provide services such as resources, education, advocacy, co-pay assistance, testing and more. Take the pledge to donate to Albie Aware. Make a donation to Albie Aware online. Visit our office or call to ask a member of our team to fill out an Albie Aware Pink Ribbon Card with your name and a special message for encouragement, in memory or in honor of someone. Send our Team a copy of your donation receipt at smile@fountainsdentist.com. 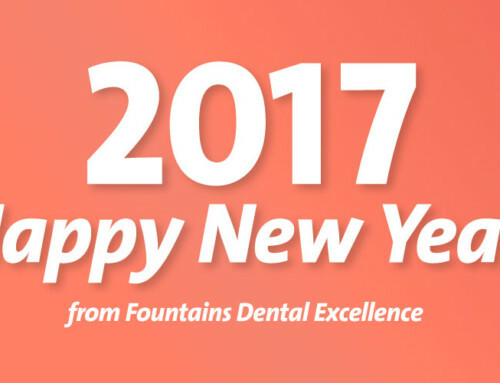 Or snap a picture of yourself with your donation, share it on Facebook and tag Fountains Dental Excellence in your post. Feel free to invite friends and family to enter as well! Everyone who participates will be entered into a drawing for our Think Pink Breast Cancer Awareness Gift Basket! 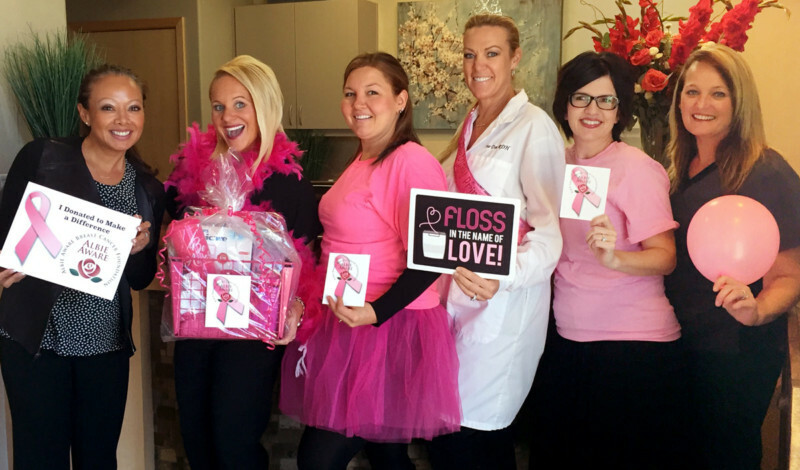 Our gift basket includes a limited edition Pink Sonicare Toothbrush, Pink Albie Aware Dutch Brother’s 20oz Tumbler with a gift card for a free drink and several more items to get you to think pink for breast cancer awareness. Thank you in advance for your donations and for helping us to spread awareness! Announcing Our Food Drive! Help Us Make Sure No One Goes Hungry.